Your Taste of Costa Rica and a visit to the Grand Spa at Tabacón begins by Flying into Spanish Colonial San Jose, the capital of Costa Rica which is nestled in the Central Valley Region and surrounded by the Talamanca Mountains. We recommend staying one or two nights at the Hotel-Presidente in downtown San Jose as it's a great place to start your adventure which will lead you to the thermal spa at Tabacon. 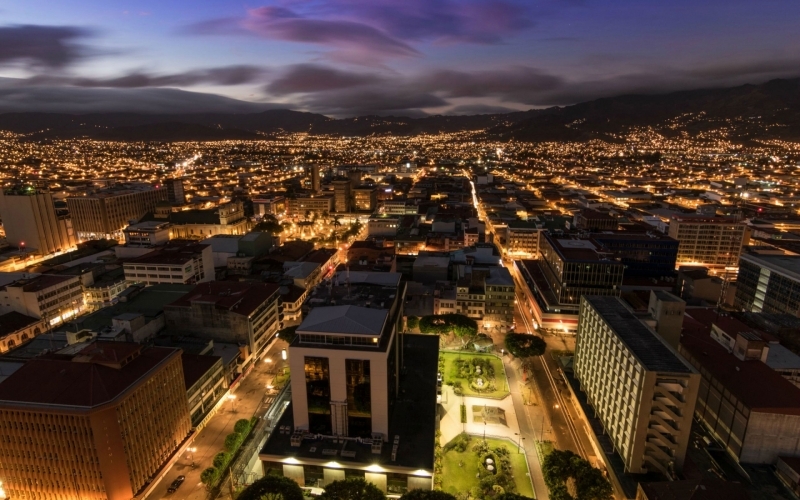 After checking into your room, take a walking excursion and stroll down the Central Avenue a Pedestrian Boulevard with restaurants, bars, and edgy new boutiques, while savoring the cultural vibe. The locals are friendly, beautiful and very family orientated. Further, Costa Rica has a long and rich heritage of Chinese immigration...so, please disregard the obvious incongruity and head over to Tin Jo's for dinner, there you'll enjoy spectacular Pan-Asian that will knock your socks off. On the morning of your departure to the Pacific coast, you'll have an outstanding hot breakfast buffet; your pre-arranged rental car will be waiting in the courtyard, and you're off to your next destination, a spectacular villa about four hours away. Arriving at Castillo de Amber, your pre-arranged villa which is a 6-bedroom rental with 4-levels overlooking the Pacific Ocean from a lofty perch. 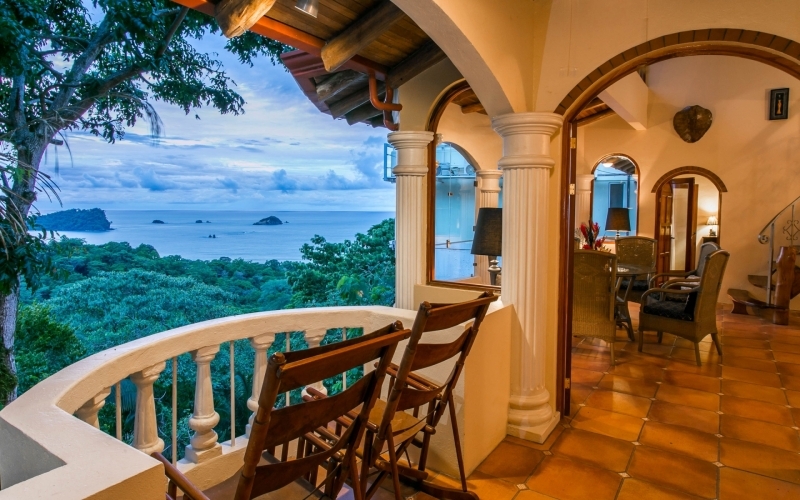 This magical castle located along Pacific Canyon Drive in Central Manuel Antonio National Park. Think Monterey in the mountains with a rainforest and breath-taking ocean views. The region is Eco-Friendly and renowned for its biodiversity, white-sand beaches, rich in tropical vegetation and teeming with unique wildlife including quetzal birds, capuchin monkeys, and sloths. Manuel Antonio is undoubtedly one of the most beautiful places on earth. After a day or two at this magnificent hideaway, you're off to the world famous Tabacon Thermal Spa about two hours away. Incidentally, the main transit roads in Costa Rica are excellent. However, it's wise to rent a four-wheel drive vehicle. From Manuel Antonio, you'll drive for about three hours, along the coast to North Central Costa Rica, following the signs to Arenal Volcano. For the first hour and a half of your journey, you'll be treated to panoramic views of the Pacific coast, charming shops and restaurants are bountiful. Then as you head north into the rolling mountains and rainforest, you'll marvel at the biodiversity of this amazing country. Upon arriving at Tabacon resort, you are firmly ensconced within the Arenal Volcano National Park. Here, the sights and sounds of the jungle are pervasive as you drive into the resort. Your thermal spa adventure is about to begin. 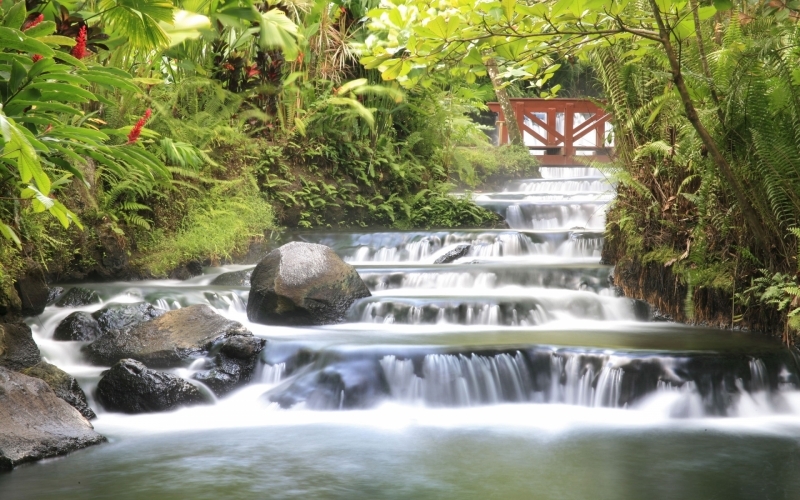 Tabacon Thermal Spa is the brainchild of Costa Rican born Jaime Mikowski, together with a group of investors in the early 1990's they purchased the property at the base of the majestic Arenal Volcano. From the beginning, their philosophy was to create a natural encounter with the rainforest and Costa Rica´s most extensive network of naturally flowing thermal mineral springs that are heated underground by Arenal's magma and cascading down from the base of the volcano itself. The spa became a massive 900-acre landscaping project creating the Tabacon river with tributaries that cascade throughout the lush rainforest spa. 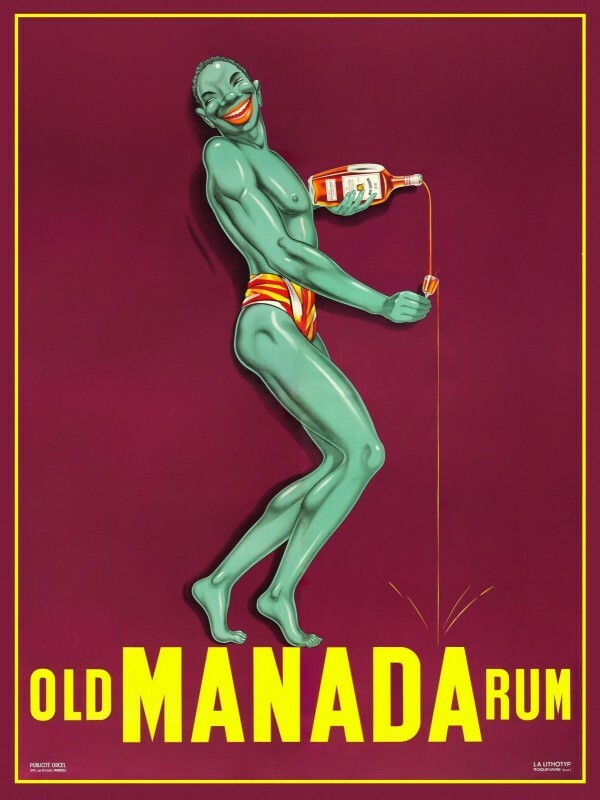 After two years Mikowski had created the worlds finest Hot Springs spa. 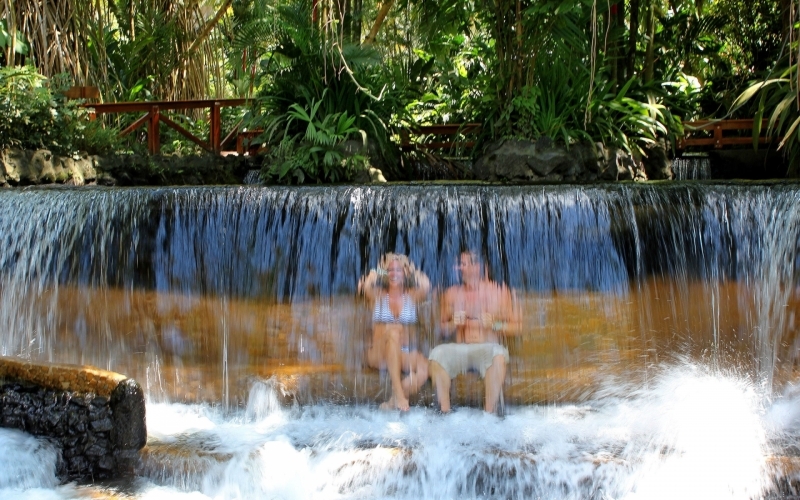 The essence of Tabacon Hot Springs is soaking in the cascading thermal pools and waterfalls. The volcanic waters flow throughout the resort, and there are countless areas to explore, winding paths that lead to magical soaking areas, tiers of natural hydrotherapy offering medicinal mineral content with temperatures ranging from 72 to 105 degrees Fahrenheit. 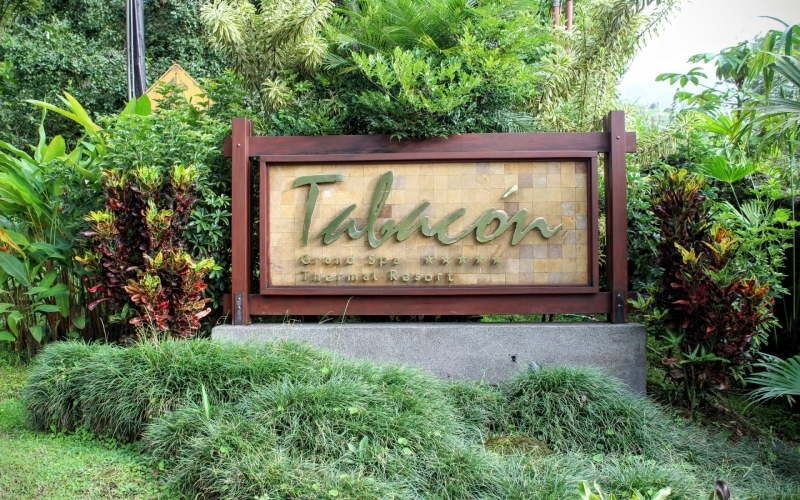 If you decide to stay at the resort, Tabacon offers 103 luxurious guest rooms and suites; two restaurants; four bars, The main sunbathing and swimming area features five pools, a swim-up bar, and the thermal water slide. Hotel guests also receive private access to the Shangri-La Gardens, an adults-only hideaway. While Tabicon is surely a jewel to behold, Costa Rica is a magical country of immense beauty that has progressive environmental policies and attracting savvy travelers from all over the world.